Reduce costs and turn your energy data into actionable knowledge! Get control of your energy spend with Energent’s EMIS* platform. 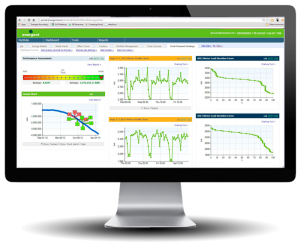 Energent’s solution combines the model-based analytics of an Energy Management Information System with expert Energy Analyst services. Energent frequently works with clients who require custom reporting and processes that integrate with internal systems and auditing needs. ...I’ve always had the philosophy that you can’t manage what you can’t see. The EMIS gives us a clearer understanding of our usage and alerts us when anomalies occur. What we save through the energy monitoring more than covers the cost of the EMIS service. Energent has helped over 30 Green Button participants by creating energy models and providing high-value energy analytics based on the Green Button data connectivity standards. *EMIS – Energy Management Information Solution.